The bay light DISCUS PLUS combines the optimized technical data of his brother DISKUS with a significant increase in power to 130 lm / W. Its special cover with lens-technology ensures minimum glare values. The quality MeanWell driver, the IP 65 housing and a lifetime up to 20 years make the DISKUS PLUS the ideal light, even in environments with extreme requirements. The bay light DISCUS BASIC combines the optimized technical data of his brother DISKUS with a significant increase in performance of up to 134 lm / W. The quality Meanwell driver, its IP 65 housing and a lifetime of over 50,000 hours make the DISKUS BASIC ideal light even in environments with extreme requirements. In our bay light "DISKUS" class LED chips are installed (EMC housing). It has an excellent heat dissipation, a very robust IP 65 housing and a lifetime up to 20 years - in addition to its exceptional light-technical skills. Our bay light "DISKUS" is ideal for all storage and production facilities, but also for sales and exhibition areas, even in ceiling heights over 10 m. The spotlight is dimmable and can be used both indoors and outdoors! The powerful LED High Bay Light "SIRIUS" (at 400W: 45,500 lm) is ideal for all industrial application areas, both indoors and outdoors. Thanks to the optional reflectors it can be used in ceiling heights over 20m and is on request also dimmable. The LED High Bay Light "MATAR" appears in the typical design of a linear luminaire. Therefore it is ideal even with low ceilings. Very often, this spotlight is also used in picking and ramps. Due to the wide viewing angle you are able to reach a comprehensive illumination with only a few lights and saves twice! 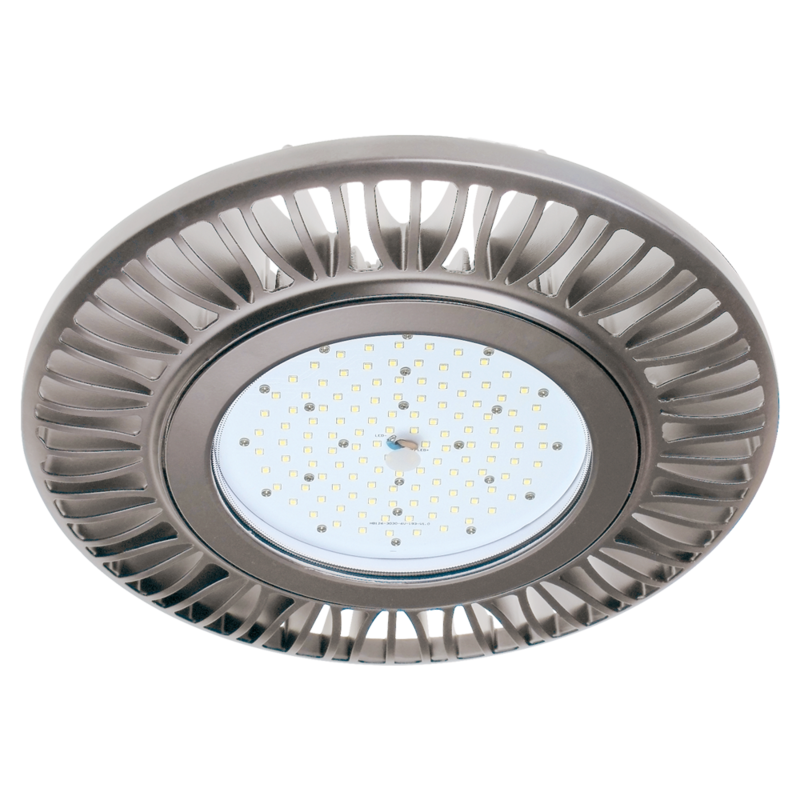 The Design High Bay Light "DIADEM" illuminates every showroom and each exhibition area perfectly and efficiently. It is a real "eye-catcher" and very durable.